The fact that Love Incarnate will never stop loving--even following us into hell (Psalm 139:8 ... I know, it's actually sheol ... oh, now we suddenly got queasy about hell?) --is no reason for me to put off or leave off welcoming people to experience that Love. Since seeing it this way, my Good News message is much better news, and significantly, it SOUNDS better to those who hear it, especially since it is no longer accompanied by the pressure and insecurity and manipulation that fear-based evangelism projects. I feel no need to shy away from saying, "Oh, life is hard? Yes. But I have good news. God loves you. He always has. And he wants you to know him as your very best friend. He wants to walk through the mud, the blood and the tears--through hell and back--with you, and he will never leave you or abandon you. Interested?" If not, I no longer ramp up the offer with threats of torture. On my better days, I keep loving the way Jesus does, enjoying the conviction that he always will, "to infinity and beyond." When I put it that way, it doesn't seem like a chore anymore. And then the original question sounds nonsensical. 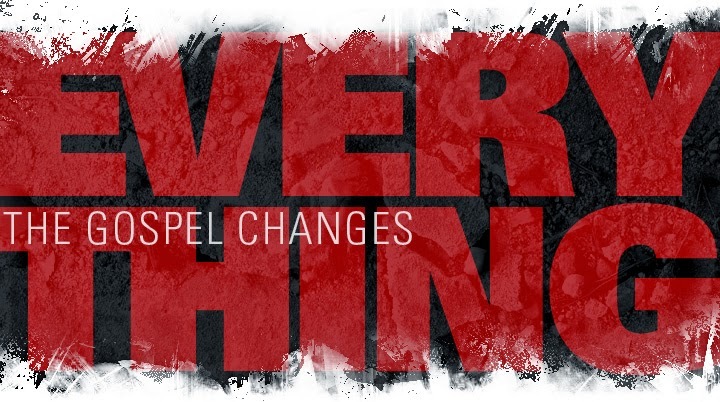 At the end of the day, I share the gospel, because the gospel (Jesus) changes everything.